Why would I need self storage in Fort Washington, MD? There are a variety of reasons why you might need self-storage in Fort Washington, MD. How much is a storage unit in Fort Washington, MD? The cheapest storage unit in Fort Washington, MD is $47.00 per month. What size storage units do you have available in Fort Washington, MD? In Fort Washington, MD we have sizes that range from 4'x4' to 12'x30' to suit your storage needs. How much is it for a 4'x4' storage unit in Fort Washington, MD? The cheapest 4'x4' storage unit in Fort Washington, MD is $100.00 per month. 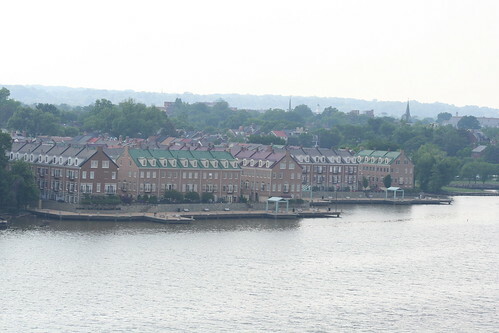 Fort Washington is a thriving community spanning just under 14 square miles in Maryland. The town shares a border with Washington, D.C., directly south of the downtown district of the nation's capital. Fort Washington's close proximity to D.C. makes it an ideal home base if you want a quiet, rural lifestyle alongside your big-city career. The early 1600s brought settlers to the region, and within 30 years the land was inhabited by several families farming the area. The surrounding county was established in 1696 and named after Prince George of Denmark. Throughout the years, the area was known for trading, plantations and agriculture. The main crop in Fort Washington and the surrounding area was tobacco. The town is named for Fort Washington, which served as the national capital's primary defense fort in the early 1800s. The fort weathered several wars, including the War of 1812, the Civil War and World War II. Until about 1960, the land surrounding the fort remained largely rural, with just a few family farms dotting the landscape. Then suburban growth stretched into the area, prompting several residential developments. Fort Washington is home to a diverse population, with a number of rich cultures enriching the community. Despite its small size, the town maintains an active and vibrant arts and cultural scene, so you won't need to travel to D.C. for a new experience. The Harmony Hall Regional Center features the John Addison Concert Hall, which hosts several community theater productions, concerts, and arts and theater classes for youth and adults. If you're looking for big-city entertainment and amenities, you can make the short trip to Washington, D.C., and take advantage of everything the nation's capital has to offer. National monuments, museums, theater, musical performances, shopping and dining galore are all just minutes away. Students who live in Fort Washington are part of the Prince George's County Public School District. The Schools district offers a number of learning programs for students, including Montessori programs, dual enrollment, charter schools and more. Private school options in Fort Washington and the surrounding area are plentiful, whether you're looking for a parochial, college prep or traditional campus. Utilities: The primary power provider in the Fort Washington area is PEPCO. The Washington Suburban Sanitary Commission manages water and sewer services. Garbage and Recycling: Your trash and recyclables collection services and schedule may vary depending on your neighborhood's specific location within Fort Washington. Transportation: The Metrorail and Metrobus provide easy transportation into the D.C. metro area and beyond. On average, homes in Fort Washington are far more affordable than other communities in the Washington, D.C., metropolitan area. This has made this small community a popular home base for commuters looking for a budget-friendly option. Fort Washington is relatively small, so you won't have the large housing market you would expect in big cities. However, there are still plenty of options in a variety of styles, sizes and price points. Our lowest priced units in Fort Washington, MD average $75.33 per month. 280 people have reserved units in Fort Washington, MD in the past 30 days. There are 6 locations within Fort Washington, MD's city limits. There are 4 locations in Fort Washington, MD that offer AC and Heating features.